Medical graduate and post graduate MD (Medicine) from S.M.S. Medical College in 1998. He is a DM in Endocrinology from KEM Hospital and GS Medical College in Mumbai. He has more than 15 years of working in the field of Diabetes, Thyroid and other hormonal disorders. He has worked at Apollo Hospital New Delhi,Assir Central Hospital Saudi Arabia and Zulekha Hospital Sharjah and Dubai. His special interests are; Diabetes in all age group of patient including pediatric and pregnancy, thyroid disorder in all age group, short height & growth disorder, obesity management, lipid disorders, metabolic and bone diseases including calcium and Vitamin D and parathyroid gland disorder, polycystic ovaries and hormonal disorders in females and males. Dr. Vidula Sharma has vast experience (more than 17 years) in managing various gynaecological problems like infections, menstrual disturbance, puberty, menopause and infertility related problems. She is regularly doing cancer screening programs. She is very proficient in obstetric care for normal and high risk pregnancies. She is expert in caesarian sections, hysterectomies, ectopic pregnancy, ovarian cystectomy and other gynaecology operations. 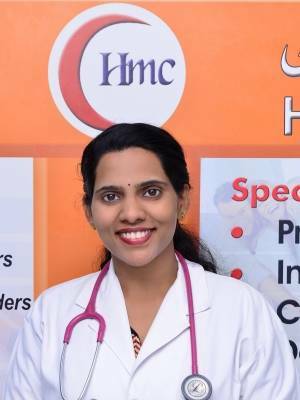 After post-graduation from University of Rajasthan, she has worked in various prestigious institutions such as KEM Hospital in Mumbai, Abha (Tertiary Care) Maternity Hospital in Saudi Arabia and Zulekha Hospital Sharjah. She is in charge of Gynae Department fully equipped with ultrasound machine, CTG (for fetal monitoring), Thin Prep (latest) Pap's smear techniques. She is attached to leading hospitals in Sharjah & Ajman for conducting deliveries, caesarian sections and other operative procedures. She is actively counseling patients and encouraging their participation in treatment decisions. 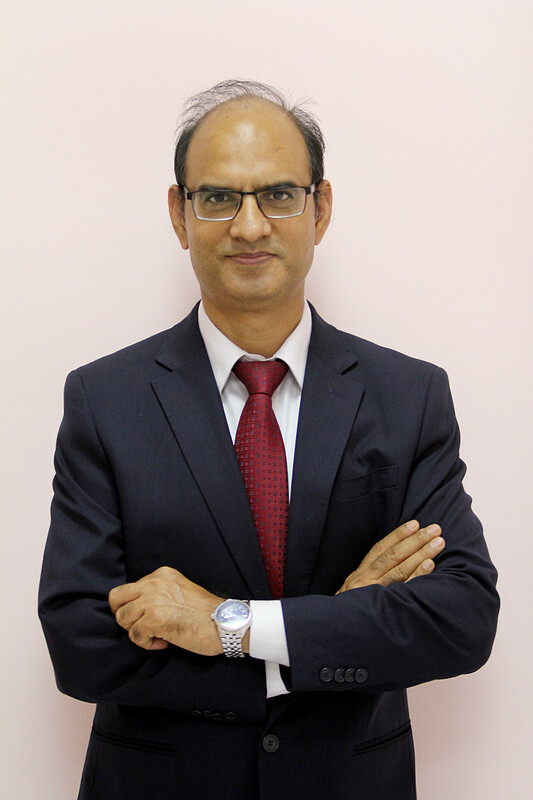 Dr. Sushama Manoj Kumar hold a BDS Degree from prestigious Sree Mookambika Institute of Dental Sciences India, with over 8 years of experience in India. She has also worked in a reputed clinic in Dubai. 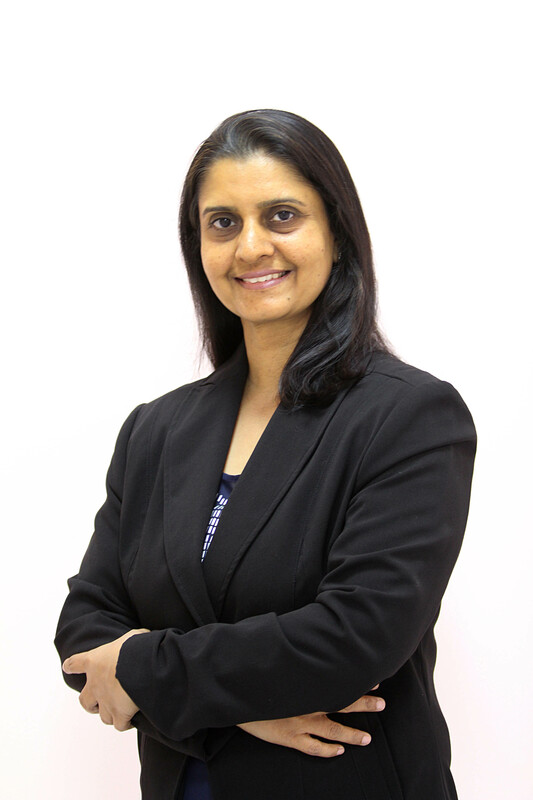 Her special interest includes cosmetic dentistry, prosthetic rehabilitation , child dentistry , crown and bridges , RCT , extraction and is firm believer of preventive dentistry. She speaks English, Hindi, Malayalam and Tamil. 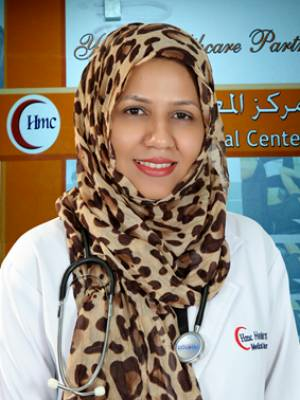 Dr.Maida Kashan has completed her MBBS (2007) from the Liaquat University of Medical and Health Sciences, Pakistan. She also has 2 years MCPS postgraduate residency experience in Obs and Gyne from CPSP , Pakistan. Dr Maida has worked in various Medical Centers and clinics in Pakistan and SAUDI ARABIA over the course of her career that has spanned more than 11 years.